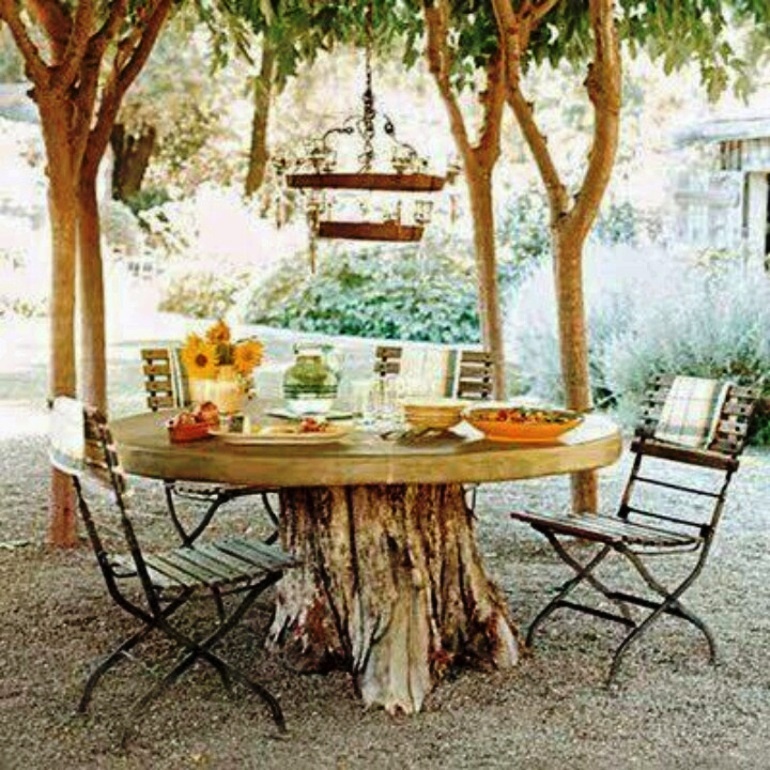 Home - Have your garden trees got you stumped? Do you have a well established garden that has recently suffered in the high winds that have affected many parts of the country? Does the garden have trees that provide either a feature, are a part of the boundary to your property or act as a screen and shelter your home/garden from the neighbours? If you do, there maybe occasions when you have to deal with older garden trees that have been stumped, suffered wind damage and need either trimming, felling or if rotten may need removing completely, which is a real shame. 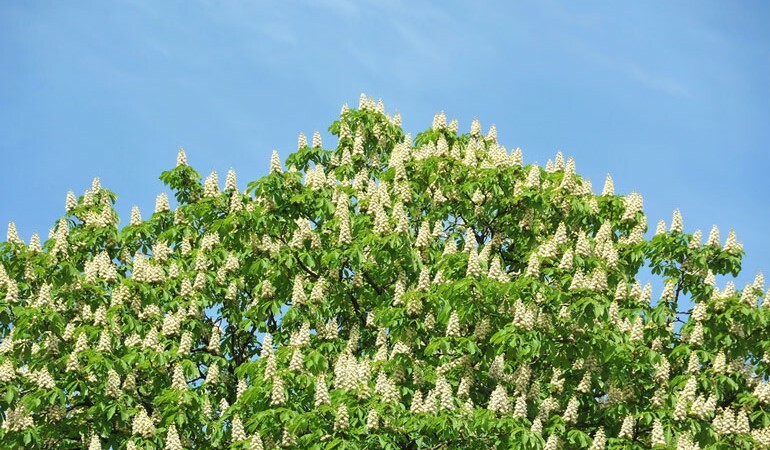 In an otherwise healthy garden it can be a sad time having to deal with a sick tree, but before making that final decision, assess your options. Firstly, if you have to remove a tree, check with your local council to see if the tree is covered by a preservation order and if you will need to replant. If it is you will need to gain authorisation or a license to remove the tree. Depending on the size of the tree you may need to call in an expert who will have the right machinery, safety equipment and insurances. Chip the wood for mulch to be used on the flower beds. Cut into logs and used for a fire wood. 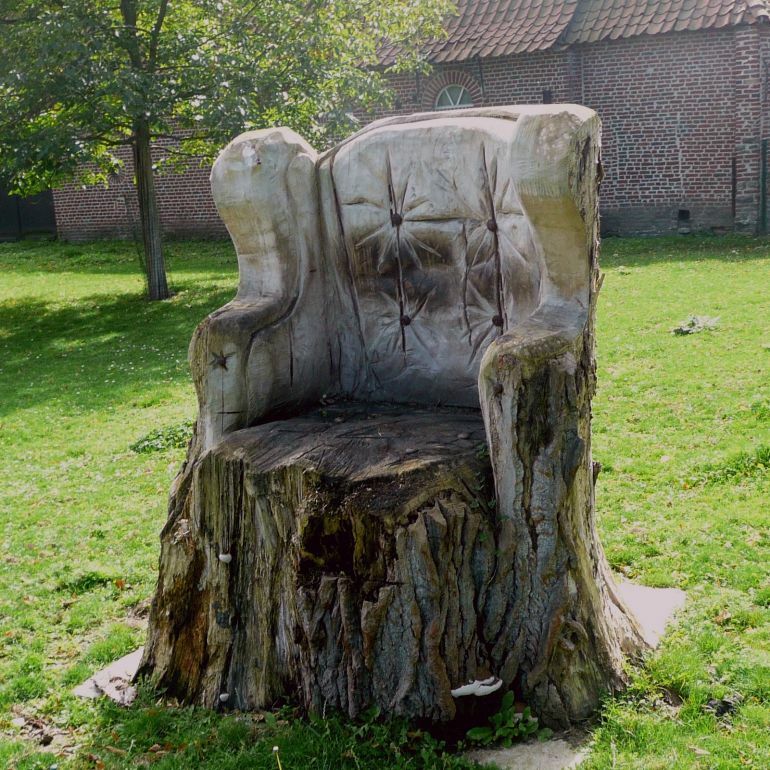 Sell the tree trunk to a timber merchant for furniture. 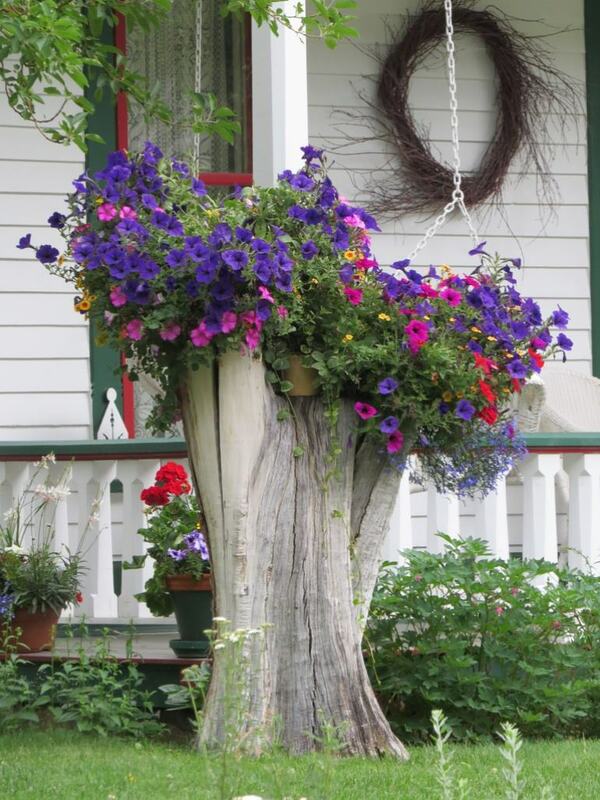 Once you have taken the decision to remove the tree, do you keep or remove the stump? 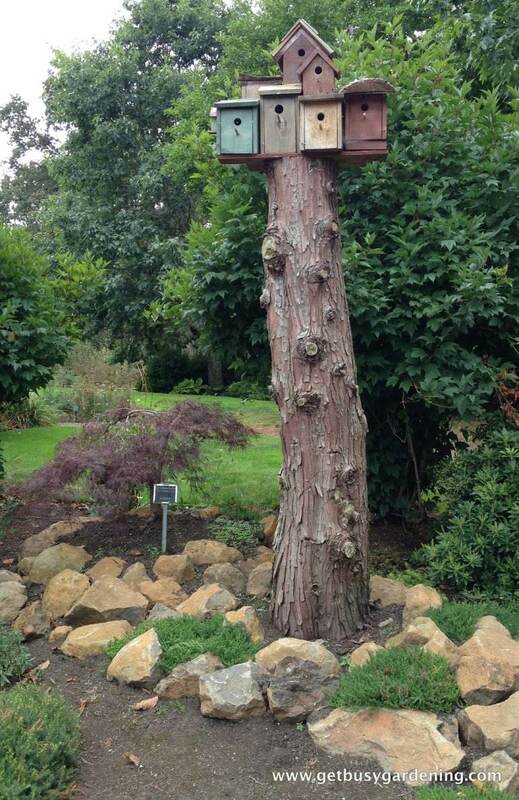 Use a tree stump as an added feature in the garden by adding trailing plants or making into a tree house as below. 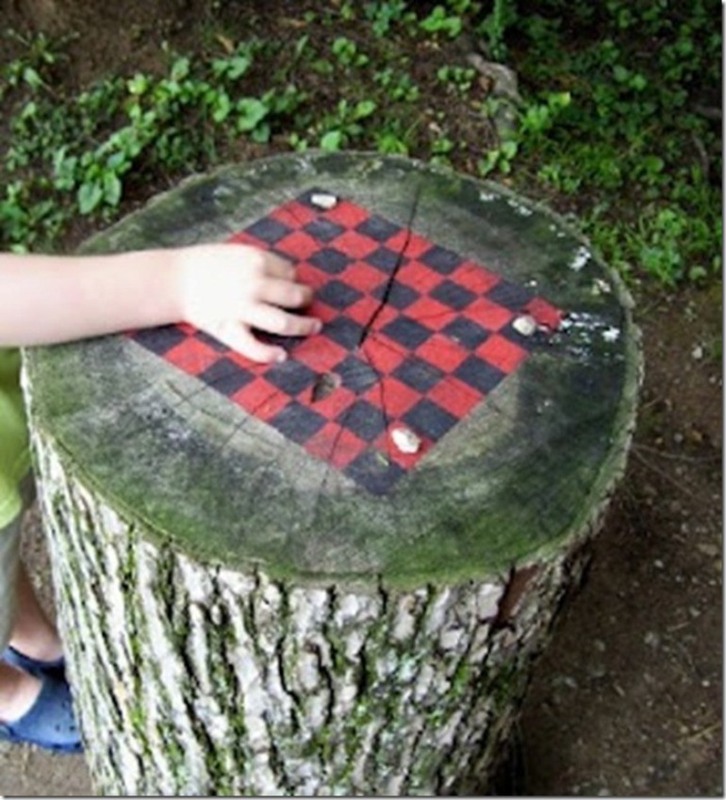 Have holes drilled into the tree stump and a weed killer added to kill its roots, so it does not grow again. Live tree stumps may take a month to decay. Trees can suffer from many diseases, sometimes the only way to stop the spread of the disease is to take them down and dispose of the wood in a controlled way i.e. burning. Should you need further advice a tree surgeon or an Arborist will be able to help on the best course of action to take. Remember trees are magnificent plants and many have been planted for events and sentimental reasons, having to fell them maybe a difficult decision. 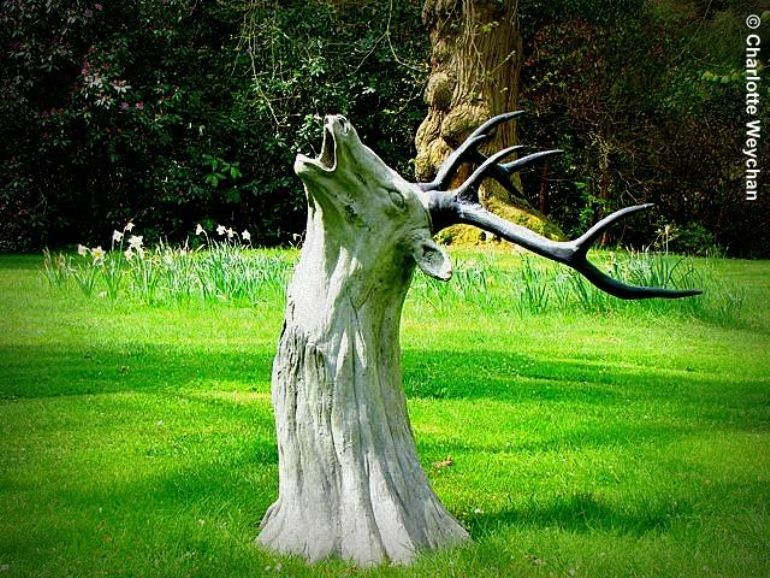 Here is a selection of our favourite tree stumps and their new uses that we would like to share with you. 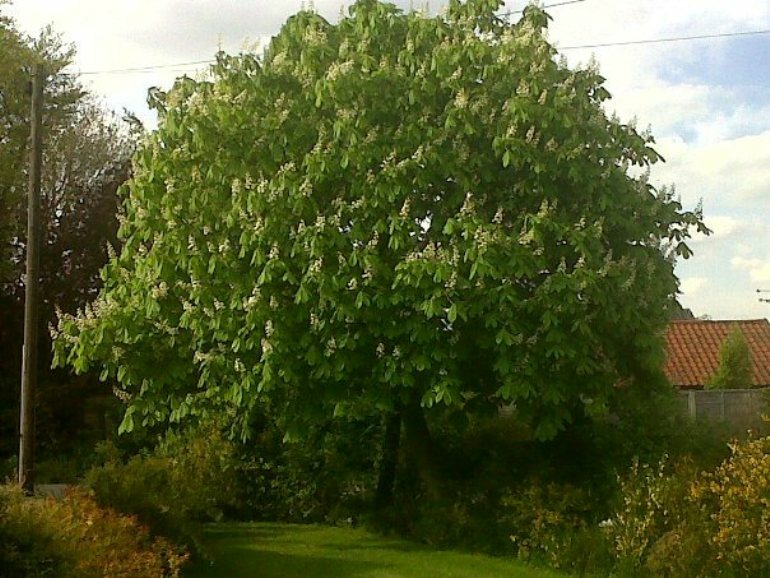 Planting a tree in the garden is a great way of making a memory for generations to come. If you would like to get involved planting trees in your community click here to find out more.